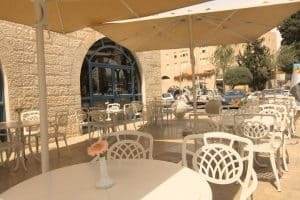 Overlooking the Old City Walls from its convenient location in the central tourist area, Eldan Hotel offers an attentive service, free parking, and air-conditioned rooms with free Wi-Fi. 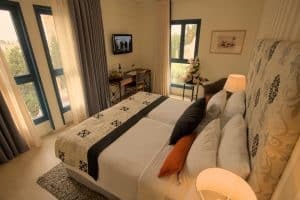 It is a 10-minute walk from the Jaffa Gate to Jerusalem’s Old City. Rooms at Hotel Eldan feature cable TV. 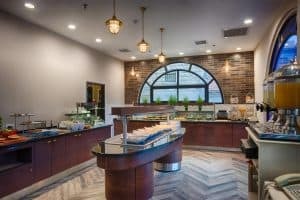 Breakfast and can be enjoyed out in the picturesque courtyard. 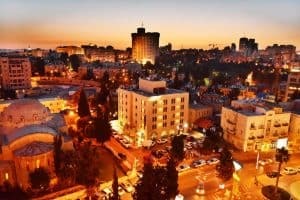 Choosing Eldan means you are 10 minutes away on foot from the shops and restaurants on Ben Yehuda Street. Mamila shopping centre is 600 m away. Walk a little further and you will find Mount Zion and Cenacle, the site of the Last Supper. Staff are available 24-hours a day and can assist with car rental, currency exchange, and tourist information. The number of free parking spaces is limited and subject to availability.